On this 2-hour off-Broadway walking tour, learn about the origins of Indie theater and the history of New York City theater. Get the inside scoop on famous NYC stars and legends and listen to famous songs from off-Broadway shows as performed by your tour guide. Discover the heart of New York’s theater world! Learn the difference between Broadway, Off-Broadway, Off-Off-Broadway, Indie Theatre, and festivities! Visit famous theaters such as The Actors Temple, New World Stages, and The Snapple Theater. 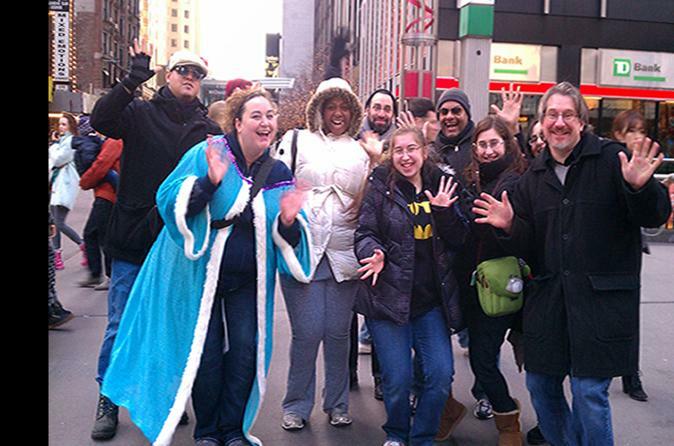 Get the the inside scoop and learn where NYC actors rehearse and hang out. This is the REAL New York City theater scene!